Move is part of a plan to tackle the problem of non-communicable diseases. The Fiji Medical Association (FMA) is to make the Complete Health Improvement Program (CHIP) available to every doctor in Fiji. CHIP is a lifestyle enrichment program designed to reduce disease risk factors through the adoption of better health habits and appropriate lifestyle modifications. The resolution to adopt CHIP was made at the FMA’s annual conference, which this year focused on what non-government organizations are doing to tackle the problem of non-communicable diseases (NCDs), including diabetes and cardiovascular disease, which are on the rise in Fiji. 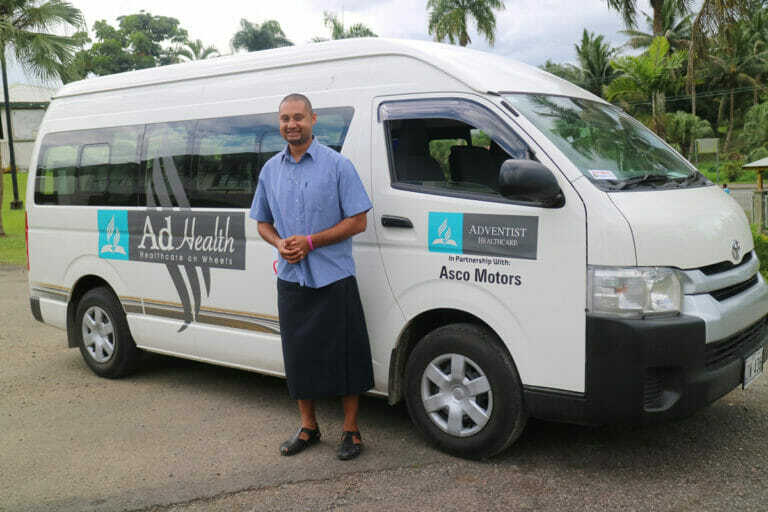 FMA secretary Alipate Vakamocea, who is also health director for the Fiji Mission of the Seventh-day Adventist Church, gave a presentation on CHIP. “I talked about how four Fijian doctors had died from NCDs since the last conference, and they were quite young, aged from their late 20s to early 40s,” he said. One of Fiji’s leading pathologists shared her testimony about how CHIP had changed her life. Other international doctors attending the conference also gave their support to CHIP, saying it was a good initiative. “Due to the theme of the conference being about NCDs, the lunch was vegetarian, which came as a shock to many of the doctors because they love their meat,” Vakamocea said. The conference accepted five resolutions, before adding a sixth: that the FMA makes CHIP available to all doctors in Fiji. Vakamocea said this was an exciting development and testimony to the power of CHIP to change lives. Fiji Mission is also looking at other health initiatives, including opening a wellness center, featuring a café, health food and bookshop, and medical suites. “We have received funding from a 13th Sabbath offering for a wellness center,” Vakamocea said. “We would like to set it up in [Fiji’s capital city of] Suva because it would fulfill so many aspects of Adventist mission, including comprehensive health and mission to the cities. These activities reflect the vision of the Trans-Pacific Union Mission (TPUM), as expressed by president Maveni Kaufononga at last week’s South Pacific Division year-end meetings. Kaufononga said health is a major focus of the territory.